Last year, Barbara Byrd-Bennett apologized to CPS students, parents and educators, saying, "They deserved much more, much more than I gave to them." 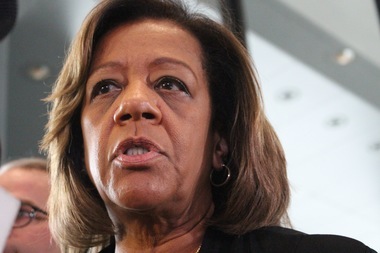 CHICAGO — City officials filed suit Thursday against disgraced former Chicago Public Schools CEO Barbara Byrd-Bennett, accusing her and others of engaging in "a conspiracy and scheme to enrich themselves at the expense of the schoolchildren of the City of Chicago." Byrd-Bennett pleaded guilty last year to an indictment charging her with receiving money and benefits from her former employers, SUPES Academy and Synesi, in exchange for steering no-bid contracts worth more than $23 million to the firms. "In plain terms, defendants have stolen money from plaintiffs and the schoolchildren of the city of Chicago, and that money should be returned," said the lawsuit, which was filed by the Board of Education and the City of Chicago in Cook County Circuit Court. Reporter David Matthews says CPS is willing to go after every dollar. Byrd-Bennett stepped down from her post at CPS in April amid a federal grand jury investigation into the contract. The lawsuit also names SUPES executives Gary Solomon and Thomas Vranas as defendants. 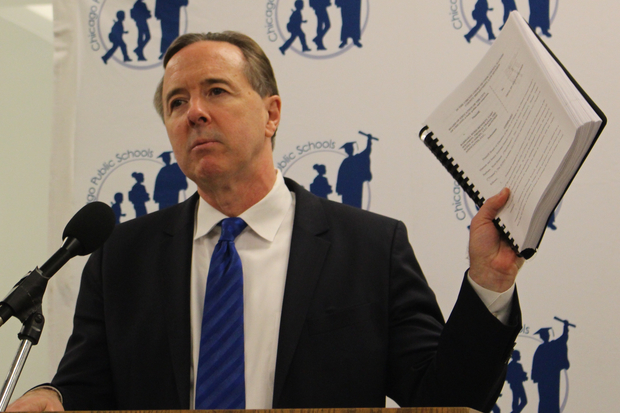 “With scarce resources, staff furloughs and painful budget cuts, CPS is keeping a close watch on every dollar," CPS Chief Forrest Claypool said Thursday. "Barbara Byrd-Bennett and her co-conspirators knew the district's dire straits and still concocted this scheme to divert needed resources away from classrooms and line their own pockets. "So today CPS took action in Cook County court to go after the $65 million in damages and civil penalties that our children are entitled to receive. With serious budget challenges facing the district, we'll continue to fight for every dollar our children deserve,” Claypool said. According to the lawsuit, Byrd-Bennett steered "millions" in secret kickbacks and bribes to herself by delivering the contracts to SUPES, a leadership academy for principals and other educators. She infamously sent an email about her plans, saying she had "tuition to pay and casinos to visit." The lawsuit alleges Byrd-Bennett received nearly $870,000 in public funds through the fraud, as well as other bribes and gifts-in-kind such as free meals from SUPES and Synesi Associates, another Vranas company. In addition to recovering millions in public funds, the lawsuit seeks hefty damages as a result of Byrd-Bennett's "breach of fiduciary duty." The lawsuit also alleges that Byrd-Bennett and the other defendants are using stolen public funds to pay their continuing legal fees. The fraud lasted from April 2012 until last year, when Byrd-Bennett was indicted by federal authorities. Michael Scudder, a Chicago lawyer who represents Byrd-Bennett, did not return a message seeking comment. After entering her guilty plea before Judge Edmond Chang at the Dirksen U.S. Courthouse in October, Byrd-Bennett made a brief statement directed to CPS students, parents and educators, saying, "I am terribly sorry and I apologize to them. They deserved much more, much more than I gave to them." "There is nobody to blame but me, and my failings could not have come at a time of greater challenges for CPS," she added in a written statement. "The issues CPS faces are significant, and the city needs — and the children deserve — leaders who are working without conflicts of interest." Byrd-Bennett admitted to being "engaged in a scheme to deprive her former employer," CPS, of "honest services," Scudder said in court Oct. 13.